Normally, in the past, I would tweet the Disneyland Today account and inquire about the latest edition of the “Buena Vista Bugle” and they would usually respond almost instantly informing me they were working on the next issue and it should be out soon. But for the past month, I’ve been tweeting them only to occasionally receive a response stating they were looking into my inquiry and then receive no follow up. The last issue was released over 4 months ago which is abnormally long between issues. I visited the parks yesterday and decide to take my normal routes of where the bugles were normally held (the stands and the cafe) only to find the metal newsstands are nowhere to be found and the cafe counters are sadly empty. I decided to inquire with a couple employees including the one at the wait-time board along with a employee in the DCA City Hall and they both confirmed my fears – The Buena Vista Bugle is dead (they called it discontinued but I’m going with dead). I hate to admit that I saw it coming but still sad to see it go. RIP Buena Vista Bugle! It was fun collecting you while it lasted. Sorry, I’m late on this one! 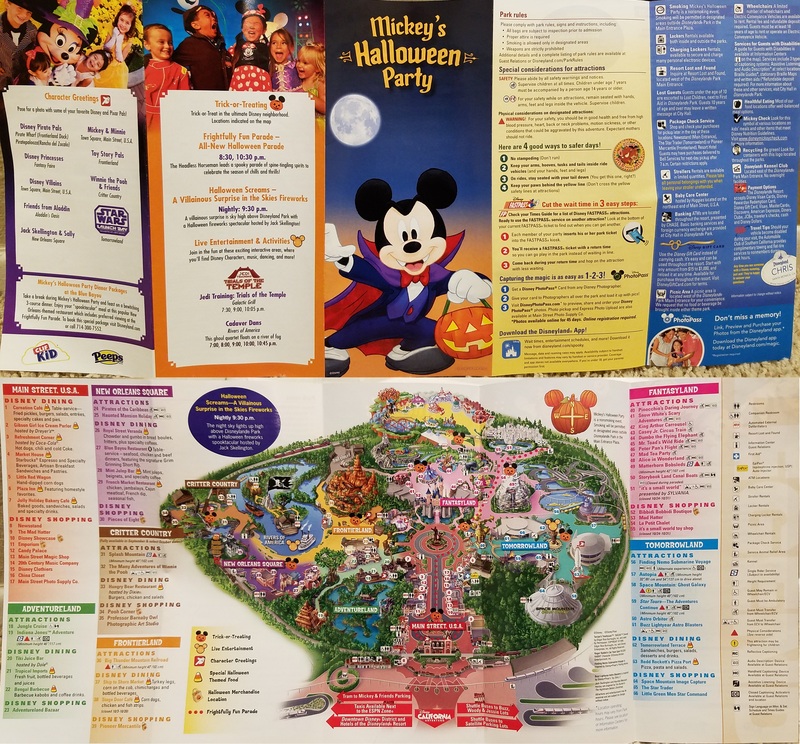 Here is the map for Mickey’s Halloween Party 2016. I’m happy to see they finally changed the cover to show a full body Mickey and a pumpkin instead of just his face. Changes are always good in my book.